Born in Melbourne, Florida, to a military family (his father was an Admiral) and its accompanying itinerant lifestyle, Jim Morrison did not take kindly to the strict attitudes imposed upon him by his parents and developed a rebellious and outgoing personality early in life. During his adolescence he found inspiration in the philosophies and unconventional fiction of authors such as Friedrich Nietzsche, Arthur Rimbaud and James Joyce, and throughout his teen years he kept active writing prose and poetry of his own. After high school Morrison spent two years studying theater and philosophy at Florida State University, but ultimately decided to relocate to Los Angeles in order to enroll in the film department at UCLA, where he immersed himself in the emerging hippie culture that was prevalent in and around Venice Beach. It was on Venice Beach that Morrison first showed his poetry to struggling musician and fellow student Ray Manzarek; Manzarek was impressed and immediately suggested that they create a band together. Not long afterwards guitarist Robby Krieger and drummer John Densmore were enlisted, and the four (augmented at first by a bass player) began working the Sunset Strip as The Doors -- a name Morrison had taken from The Doors of Perception, Aldous Huxley's 1954 book documenting his experiments with mescaline. Over the next two years -- during which they served as the band-in-residence at both London Fog and (most significantly) the Whiskey A Go-Go -- the popularity of the Doors exploded, and by 1966 they had secured a recording contract with the Elektra label. Their self-titled debut appeared at the beginning of 1967, receiving strong critical notice, mainstream success and a number one single in the form of Light My Fire. As the audience for the Doors rapidly expanded, Morrison himself was transformed into a counter-cultural icon, the rumors and controversies that perpetually surrounded him effectively obscuring the other members of the band. Reports concerning his intake of chemicals and alcohol entered the realm of folklore. The first well-publicized act of social rebellion was perpetrated by the singer during an appearance on The Ed Sullivan Show in September of '67, when he refused to replace the word "higher" in the song Light My Fire, as demanded by the network censors. The notoriety cultivated by such incidents only contributed to the popularity of the Doors, and their second album Strange Days, released later in the year, was welcomed with nearly as much enthusiasm as the first. For the next two releases, Waiting For The Sun (1968) and The Soft Parade (1969), this adulation gave way to a bit of a critical backlash, although public support for the band continued to be strong. 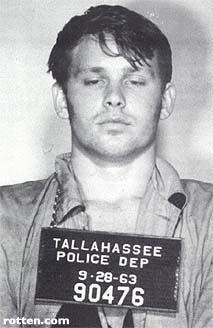 Morrison's reputation did not experience a corresponding lull, however, and a charge of indecent exposure brought against him in Miami in 1969 effectively maintained his presence in the headlines (while also putting the future of the Doors in question for the duration of the trial). For the final two albums with Morrison as their frontman, Morrison Hotel (1970) and L. A. Woman (1971) the Doors moved in a more blues-oriented direction, and managed to regain some of the critical acclaim given to their earliest efforts; for the latter record they also made a return to the singles charts, with both Love Her Madly and Riders On The Storm finding their way into the top 20. By this time the singer's lifestyle had taken a serious toll: although he had decreased his LSD intake, his alcoholism was steadily worsening. Fed up with the pressures of his celebrity, in early 1971 Morrison relocated to Paris with common-law wife Pamela Courson and took up residence in a house formerly owned by poet Arthur Rimbaud -- ostensibly, to get his addictions under control and re-focus on his writing. This turned out not to be the case, and on July 3rd he was found dead in his bathtub. Official reports attributed his death to a heart attack, but no autopsy was ever performed. It has been claimed by several close acquaintances (his former wife Patricia Kennealy and manager Danny Sugerman amongst them) that the heart attack was caused by a massive heroin overdose in some way given to him by Courson (who would herself die of a heroin overdose less than three years later).